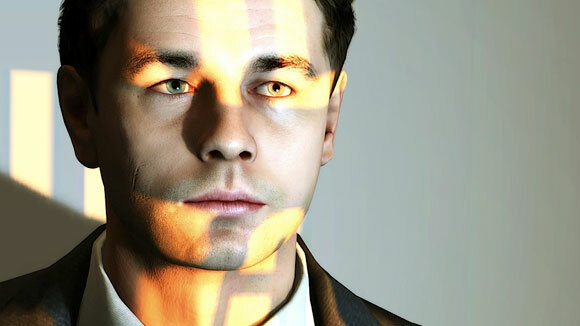 Heavy Rain is probably the best game I have played in quite a while. Or should I call it the best movie I have played in while? Either way, it is phenomenal. The somewhat realistic and depressing world of Heavy Rain creates this intense atmosphere in each level that I have never felt in a game. The long quick-time events and mundane every-day activities somehow combine to make a movie that is just interactive enough to be a satisfying game! Although I call it a movie, Heavy Rain is really the modern evolution of the point-and-click adventure genre (think Secret of Monkey Island). Although you might think searching the murder-suspect’s apartment is like a scene from a movie, it really boils down to the same pixel hunting of old point-and-click games; it’s just presented in a different manner and is a lot less frustrating. The frequent dialogue in those old games are instead shot as dramatic cut-scenes. Even the lack of restarting from a check-point is retained! I’m not sure people who love point-and-click games will love Heavy Rain but if you like mystery movies as games, Heavy Rain is sure to be a good time. Bulletstorm is more or less what I was expecting: big, dumb fun. It's in the same vein as Quake or Unreal Tournament which oddly enough is not that common annymore. Nowadays most shooters are open-world or are a Call-of-Duty clone... I’ll take big, dumb fun over that any day. Although it attempts to reinvigorate the dude-bro shooter with various environmental hazards to kill enemies with, it still is the same old game. Bulletstorm is nothing great, but it’s entertaining and it’ll certainly help pass the time until Ni no Kuni is finally released. Speaking of awesome cel-shaded graphics, I also played through Jet Set Radio HD! I was a huge fan of Jet Set Radio Future so getting this was a no-brainer. Although I don’t think this original is quite as crazy as Future, it still has the same great fast-paced gameplay, unique "punk-Tokyo" setting, and awesome music. Okay, so the camera can sometimes be a mess and some of the level design is downright terrible, but at $10 there’s a lot of enjoyable gaming here.